The current debate over inequality and what to do about the shrinking middle class overlooks an effective solution: grow more capable people one child at a time. This requires investing in programs that raise productivity and opportunity through developing the skills that matter for success in life. Such programs should be expanded even in times of tight budgets because they pay for themselves by raising economic productivity. They also promote social mobility. However, we need to take a careful look at current programs and practices to boost skills and how they should be improved to provide the best return on investment for individuals and society. Few doubt that education boosts productivity and enlarges opportunities, so it is natural that proposals for growing the middle class emphasize improving access to quality schools. These proposals are fine as far as they go, but they ignore an emerging and powerful body of policy — relevant research in the economics of human development about the skills that matter for producing successful lives, the role of families in producing the relevant skills, and critical gaps in skills between advantaged and disadvantaged children that emerge long before they enter school. Many social problems have their roots in these early deficits in skills — and they cost us dearly. Unfortunately, these gaps cannot be prevented or easily closed by K-12 education. Family environments of young children are major determinants of their skills and their performance in school. A troubling trend is that gaps in the quality of family environments between advantaged and disadvantaged children have widened in America over the past 40 years. Those born into disadvantaged environments are receiving relatively less cognitive stimulation, emotional support, and access to health care than those from advantaged families — a trend that fosters inequality across generations. A more effective way to foster social mobility is to prevent problems in early childhood rather than remediate them in school or through adolescent and adulthood programs. High-quality programs from birth to age 5 that supplement the early family environments of disadvantaged children boost the skills of disadvantaged young children. They help to close the gap between advantaged and disadvantaged young children, creating a more level playing field when they enter kindergarten. These investments are socially fair and economically productive. They develop the foundational skills necessary for persons to seize opportunities and move up, taking their families with them. While education is a great opportunity and social equalizer when done right, American policy is going about it all wrong, failing to start early enough and failing to produce the skills that truly matter for personal and societal prosperity. American policy should attempt to do more than boost test scores of children in school. We should focus on developing both cognitive and character skills through the life cycle of early, middle and later childhood. Yet current public policy discussions largely focus on promoting cognitive ability as measured by achievement tests. The cognitive skills measured by such tests are only part of what is required for success in life. Character skills are equally important determinants of wages, education and health, and many other important aspects of flourishing lives. Character encompasses a multitude of personality skills, including self-control, openness, the ability to engage with others, to plan, and to persevere. A lot is known about the dynamics of how skills are created. We should put that knowledge to use. Skill begets skill. Synergies operate across skills. More motivated children learn more. Those who are more informed usually make wiser decisions. This synergism is an essential and neglected feature of skill formation. Skills are shaped by families, social networks and environments as well as by schools. Studies of human development show that there are sensitive periods in the life cycle for producing skills. Cognitive skills evolve; so do character skills. Different skills are malleable to different degrees at different ages. While character skills are malleable throughout the life cycle, cognitive skills become much less malleable after the onset of adolescence. The early years are especially important for shaping both. As we age we lose our flexibility and our ability to learn and adapt. At the same time, many acquire knowledge and become wiser. Research on the economics of skill formation has led to major rethinking about effective policies for human development. The accident of birth plays a powerful role in determining lifetime opportunities. The early years from birth to 5 exert a powerful influence over the life of a child. Children raised in disadvantaged environments are much less likely to succeed in school and economic and social life. They are much less likely to be healthy adults. Recent estimates from a variety of studies show that factors determined before age 18 contribute to roughly half of lifetime earnings inequality. This research also shows that a substantial portion of what is nominally attributed to the beneficial effects of education is in truth due to factors determined long before children enter school. A key policy issue is determining which aspects of family influence are responsible for producing lifetime achievement gaps. Are the early gaps in skills simply the manifestation of genetics or are they due to parenting and family investment choices? The evidence from numerous studies suggests an important role for parenting and family environments in determining adult skills above and beyond the effect of genes. Parental attachment to children is a powerful predictor of adult skills and the quality of home environments by family type is highly predictive of child success. Because early experiences are important determinants of life outcomes, supplements to early family lives are promising policy options. High-quality early-childhood environments can compensate in part for the negative aspects of disadvantaged environments. High-quality programs provide disadvantaged children with the parenting resources available to functioning middle-class families, creating a stronger family structure through attachment and support, both of which are far more important for promoting human development than monetary or material resources. These family supplements can be expensive because they must be comprehensive or knit together with other programs to provide a supportive environment customized to family needs. The question is whether they are worth the early cost to achieve later gains, and the answer is a clear yes. Basic economics always favors delay in making interventions in a child unless the productivity of early investment is high. By delaying and putting money in the bank, we get more to pay for later investments. So a relevant policy question is: how costly is delay in addressing early disadvantage? How critical are the early years and for what skills? Fortunately, long-term studies of effective early-childhood programs provide answers that buck conventional wisdom and call for early investment. The Perry Preschool Program is the most thoroughly investigated of all early-childhood intervention programs. It was an intensive two-year preschool program administered to disadvantaged 3- and 4-year-old, low-IQ African-American children in a small city west of Detroit between 1962 and 1967. The curriculum emphasized the development of self-control, perseverance and social skills in conjunction with basic cognitive skills. It also fostered attachment, maternal parenting skills and interactions between mother and child. It was evaluated by the method of random assignment and participants were followed into their 40s. Perry did not produce lasting gains in the IQs of its participants. Remarkably, it boosted lasting character skills. The economic rate of return — the annual yield of each dollar invested in it — is 7 to 10 percent per annum, higher than the return to the U.S. stock market from the end of World War II to the 2008 meltdown. Some question the findings from the Perry study because of the small size of the evaluation sample. This criticism misses the point that small samples make it difficult to find any statistically significant effects — yet many are found. The findings survive when scrutinized by rigorous exact small-sample statistical procedures. The Carolina Abecedarian Program (ABC) gave cognitive stimulation and training in self-control and social skills starting in the first few months of life. It provided health checkups to children and worked with them until they entered kindergarten. This program had lasting effects on IQ and improved parenting practices and child attachment, leading to higher educational attainment, greater employment and reduced crime. Most dramatic were its effects on adult health. Participants at age 34 have lower blood pressure, lower body mass indexes, less hypertension and substantially less likelihood of diabetes and cardiovascular conditions. This evidence translates into more flourishing lives, increased economic productivity and substantially reduced burdens on the healthcare system. The Nurse Family Partnership program is a prenatal and early-childhood intervention (through age 2) that consists of nurse home visitations. It targets first-time mothers considered at risk if they are poor, unmarried or young, and combines prenatal care, education in parenting, and family-planning components. 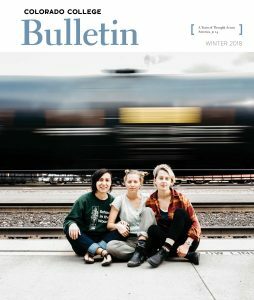 Evaluated by an experiment with long-term follow-up, children born to families that received the nurse visits show higher intellectual and vocabulary functioning, better performance in school, fewer child behavior problems, and reduced participation in risky activities in their adolescent and adult lives. There are other effective early-childhood interventions whose effectiveness argues strongly against genetic determinism and shows that effective investments in quality early-childhood programs can help produce social mobility where a host of other social programs have failed. The evidence is quite strong: early childhood investments can boost performance in school, which catalyzes greater economic and social achievement in adult life. The remediation efforts we currently use to fix problems later in life are costly and ineffective compared to interventions that supplement early family life and help create better outcomes. Examples of relatively ineffective programs are those reducing class size, adult literacy programs, many public job-training programs and tuition-reduction policies. All have substantially lower returns than high-quality early-childhood programs that can prevent the need for remediation programs. This is not to say that we should abandon all remediation programs; only that we can reduce the need for them by recognizing that early investment creates the base for effective later investment. For example, there are substantial economic and social returns to adolescent interventions for those with more skills and lower returns for adolescents with fewer skills. Adolescent remediation for disadvantaged children should emphasize programs that build the character skills which are more malleable in later life. Apprenticeships and workplace-based educational programs that feature attachment and mentoring — the same ingredients emphasized in successful early-childhood programs — are effective in promoting discipline, self-control and other valued personality traits that are essential for successfully competing in the job market. Given the solid body of evidence, there is a strong case for public support for funding interventions in early childhood for disadvantaged children. Indeed, many states have implemented early-childhood development systems. President Obama has proposed an early childhood initiative to support state efforts that combine family visitation, early child health and development, early learning, quality childcare and more effective pre-schooling at ages 4 to 5.This is an encouraging shift in American policy, one that should be supported if it remains true to the evidence of what works — high-quality, well-integrated birth to 5 early-childhood development programs that respect cultural differences and encourage public and private partnerships. Effective programs supplement family life and work with the family. They do not throw money at families. They foster the parenting that many disadvantaged children lack. Our choice in these difficult economic times is not to spend or cut, but to choose wisdom over conventional wisdom and to prioritize. It makes dollars and sense to embrace that creating early skills is critical to growing a flourishing economy and society. When we create more capable people, we reduce the need for costly remediation — and that pays off for everyone. 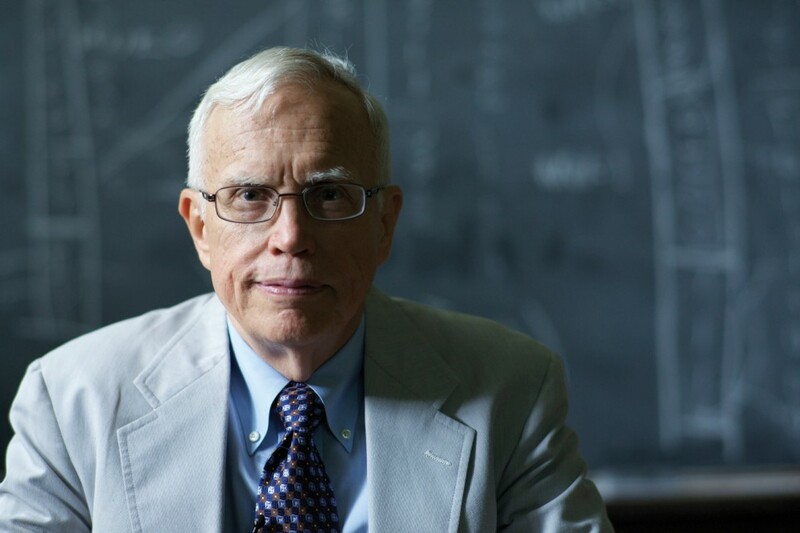 James Heckman earned a bachelor’s degree in mathematics from CC and his doctorate in economics from Princeton University in 1971. He shared the Nobel Prize in Economics in 2000. This article originally appeared in The New York Times on April 2, 2013.